Anacondas large enough to crush an SUV. Crocodiles strong enough to leap onto speedboats. When they're not hunting for human prey, they're more than willing to take on each other. 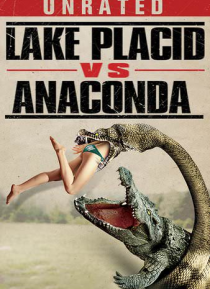 Get ready for a non-stop bloodbath unlike anything you've seen before in this heart-pounding battle between mutated crocodiles and genetically engineered anacondas. Packed with hot sorority girls, big guns, and jaws mass… ive enough to swallow a human in one bite, this is one screaming good time!